I really hope it has gotten warmer by the time this show comes around because it’s way too cold out here. I mean, I think my leg is going to fall off. Perhaps people will start freezing to death under the sakura trees! We hope not. Because we need those people to come and watch comedy. We have one international guest this week, Chloe Keister from the USA! 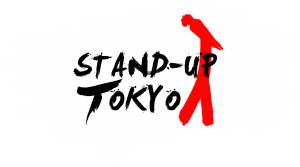 We also have a mix of newer and more experienced comics from the Tokyo area doing their best stuff just for you.